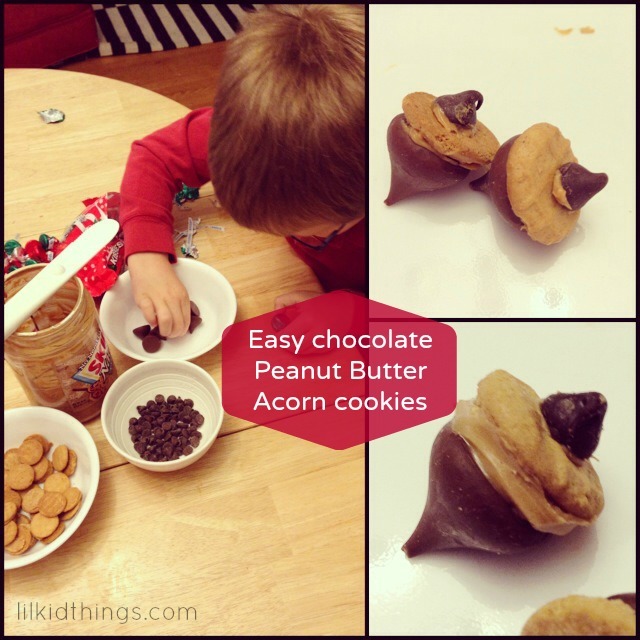 Home Recipes & FoodDesserts & Snacks	Easy acorn cookies to make with kids! Over Thanksgiving I heard a couple different people raving about these adorable little acorn snacks made with Hershey’s Kisses. When I saw a photo from a friend on Facebook, I knew Oscar and I had to make them! If you are looking for an easy and delicious snack to make with your kids for Christmas or any other time of year, here you go! My only warning is you and your kids will likely eat them as quickly as you make them. Plan ahead for a light dinner that day! When I saw the picture on IG, I was curious about what the cookie was. These look so fun! And delicious!